Photo: Maccio Capatonda. Did an invasion of super-intelligent alien cats actually invent DJing? You’ll have to ask RZA. This November, digital vinyl as we now know it will turn 10 years old. This setup is pretty simple in theory: instead of music, put encoded timecode on a record, then decode that timecode to provide information about where the record is in relationship to the needle. The idea is basic enough that, patent or no patent, it was inevitable that various developers would pursue the technique (and the very difficult work of implementation). 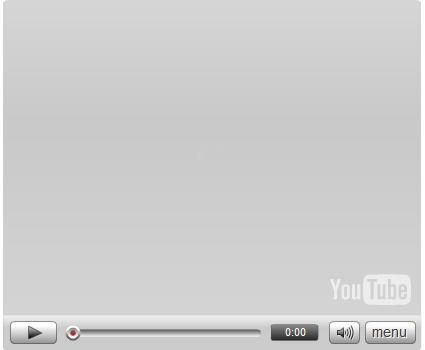 Simulate the effect of scratching or needle dropping on a computer, and you’ve got virtual DJing, as found in products from Serato, Stanton, Native Instruments, Ms. Pinky, and others. And as of Friday, it seems that the ongoing saga of a dispute over digital vinyl, beginning with the 2006 "divorce" of digital DJ titans Stanton Electronics and Native Instruments, may be over. NI released a statement Friday saying they had not only settled a US civil action patent case over their use of digital vinyl in Traktor Scratch, but had agreed to license the technology from N2IT Holdings, the US patent owners for digital DJing. Apologies for the cat photo cliche, but … this involves patent law. We’d better have something cute and furry around to get through it. Native Instruments acknowledges the validity of patents held by N2IT, and has now fully licensed their usage worldwide for its TRAKTOR SCRATCH digital DJ system and related products. The patents held by N2IT relate to general principles of digital music playback using time-code records, which are being utilized in TRAKTOR SCRATCH as well as in other manufacturers’ digital DJ systems with time-code control. Acknowledging the validity of N2IT’s patents is actually pretty sweeping. You can read N2IT’s primary patent on Google Patent Search. The key words here are that N2IT patented the basic idea of using a turntable with encoded timecode on it for DJing. Theoretically, that could open up other digital DJ products to patent liability — keeping in mind that NI is a special case, because it was a development partner on N2IT’s FinalScratch product and was familiar with the technology. I’m neither a patent lawyer nor a historian of digital DJ technology, so I quickly get out of my depth with the twists and turns this plot has taken. But I can offer at least a basic timeline of what’s happened, which puts today’s digital DJing in some context — albeit a somewhat strange context. November 19, 1998: N2IT announces FinalScratch — for BeOS. [See Harmony Central, 1998] They even show off a working prototype at the COMDEX computer convention in Vegas. The product is developed with input from Richie Hawtin and John Acquaviva, who become its first users. (Incidentally, that’s why NI made a big deal of Hawtin switching to FinalScratch, and why Hawtin claims to have been on the cutting edge of digital DJing. At least in 1998, he certainly was, though you could argue the point now if you like. The choice of Be seems strange, but recall that under two years earlier, an Apple acquisition of Be Inc. had still seemed possible — until Amelio decided to go with Steve Jobs’ NeXT Inc. instead. 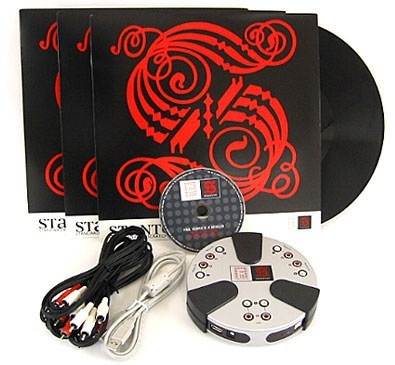 And BeOS’ unique audio system gives it exceptionally-reliable, low-latency performance that could put today’s Windows and Mac OS X to shame. Final Scratch was developed by a small Amsterdam-based 2-person company called N2IT in 1997-1998. The two creators were active in the rave/club scene, and had experience djing. It looks to me like N2IT actually did show something at the 1998 COMDEX, because the Be folks gave them award and have a photo. The Version 1.0 release comes out on a modified version of Debian Linux as well as BeOS. (The 1.0 software doesn’t seem to have been released until 2000.) Among early Linux adopters: Josh Wink. 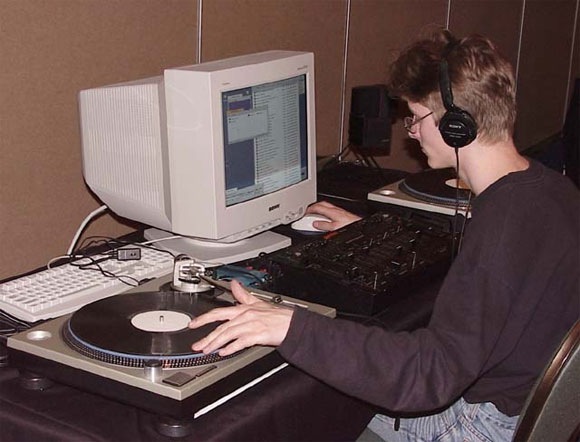 Pictured: a BeOS-based prototype at the BeDC conference in April, 1999, as photographed by BeDope.com. (See gallery.) Notice the lack of a real UI — the original software was little more than a glorified MP3 player, a far cry from stuff like Traktor. [Date needed]: Stanton Magnetics buys FinalScratch from N2IT. I can’t find a date, which I assume means this wasn’t a publicly-announced acquisition. (And given the fact that the software was primitive and ran on Linux and BeOS, that’s not a huge surprise.) I’m also a bit unclear on the history of N2IT Holdings, though I’m gathering these exist for the purposes of retaining US patent rights. January 2002: Bearing the Stanton name, the first complete commercial FinalScratch product comes to market at winter NAMM, for BeOS and Linux. March 2003: Stanton and N2IT release Linux source code to the ScratchAmp driver — but note this only covers the audio interface, which is relatively meaningless; the real value is the timecode on the vinyl. May 8, 2003: Version 1.1 of FinalScratch began the collaboration between Stanton and N2IT. It’s more like what we now know: Mac compatibility, and (courtesy Native Instruments) more usable DJ software. NI’s Traktor FinalScratch product even included a Linux version, though, for anyone who thinks NI has never done Linux development. Native Instruments is really the ingredient that takes FinalScratch mainstream. They later port to Windows as well as Mac OS X. 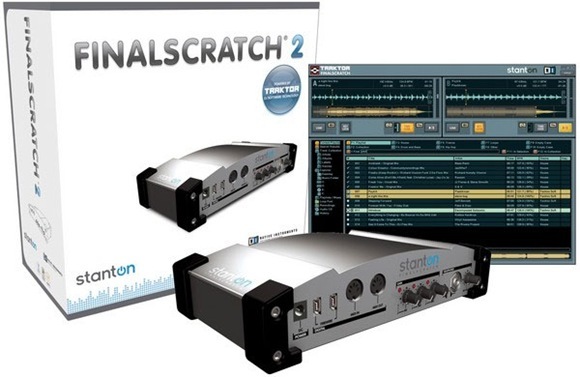 One stipulation of this separation is that Stanton releases a legal statement requiring NI to remove compatibility with FinalScratch timecode from its Traktor software line. Early 2007: The NI / Stanton divorce turns ugly. First, NI releases a competing product, Traktor Scratch. Stanton now lacks the important software capable of doing anything with timecode input, so they can only position the audio hardware — arguably the least important part of the equation — now called Final Scratch Open. Stanton also attacks NI, blaming them for compatibility problems between NI-developed FinalScratch software and Intel Macs. NI fires back that Stanton didn’t give NI enough time to complete updates to the FinalScratch software, while tying NI’s hands on updating Traktor via legal action. June 16, 2007: N2IT files a claim against NI to try to get Traktor Scratch off the market, claiming NI’s familiarity with the underlying timecode technology. In anticipation of working with Stanton Magnetics and Native Instruments to develop a new version of their product that would operate on Windows, N2IT claims it provided confidential information about its technology, and trained Native Investment employees on how their product worked. Last month, according to Billboard Magazine, Native Instruments released Traktor Scratch, which N2IT claims is similar to Final Scratch and uses its patented technology. Now: By settling with N2IT and licensing the technology, NI effectively ends the Final Scratch chapter of history — at least to the extent that the FinalScratch / Stanton / Traktor / Traktor Scratch line appears to have passed (legally, now) to Traktor Scratch. 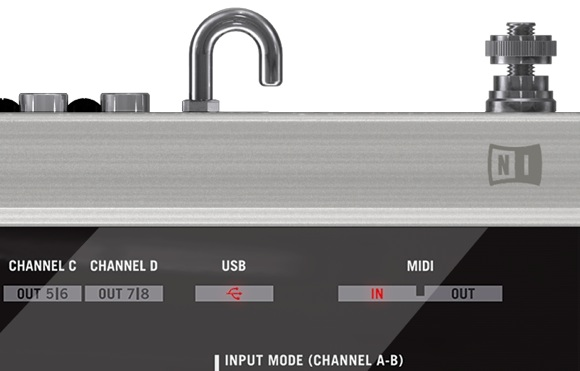 Stanton is out of the business, left only with an audio interface. But, of course, with competing vinyl timecode systems, NI’s Traktor Scratch is also no longer the only game in town. And there’s nothing preventing N2IT from pursuing legal action with the competitive products, particularly now that they have legal precedent with the NI settlement. We’ll see. There’s only one little problem: there’s no actual evidence of any of this. That, and the timeframe RZA describes is concurrent with, not prior to, N2IT’s development. So I have no idea what he’s talking about. So, is NI settling with RZA next? I doubt it. But a RZA Edition Traktor Scratch — perhaps with a big Space Shuttle emblem — now that’d be cool. If anyone has details to fill in, please let us know in comments.